Your continuous Voting will never in anyway, change or deter the Damnable Republic of Nigeria Controllers from their hazardous atrocities meted on Innocent Biafran Citizens. Sit-At-Home and boycott this forthcoming general elections come 16th February, 2019. When you keep trying something and it isn't working why not try something else and see what will eventually happen? Stay away from polling units and see the collapse of Nigeria and her uneducated infidels called Leaders. 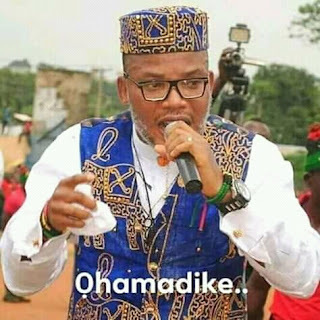 -Nnamdi Kanu Have once again resisted Nigeria plea to lift election boycott during his Saturdays' weekly broadcast assuring Biafrans hope if supposed election, starting from presidential which is scheduled for February 16th is completely rejected and boycotted as well.